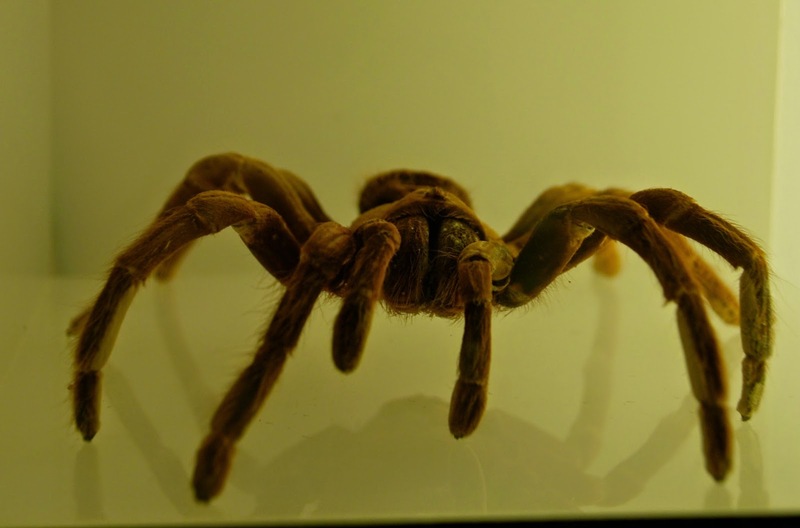 Now gird your loins if you're not a fan of the legions of creepy crawlies that we share our planet with ... . Micropolis may not be entirely your cup of tea, but, if you're in the area, it's well-worth a look. It was Mr B's idea to stop off at Micropolis, the city of the insects, to break our journey back to England from Spain. It's just 15 minutes from the famous Millau Bridge, about which I've enthused here: Millau Bridge. I wasn't totally sold on the idea, but, as I could see that he was really enthusiastic, I went along with it. Emi will love it, he said. On being consulted Emi duly confirmed that it did indeed sound like something that would be right up his street. Creepy-crawlies or mini beasts, as they've been encouraged to call them at school, will always be a hit with an eight year-old boy. The centre has an indoor gallery and an outdoor trail. So, even if it's raining, it's still a viable venue for an afternoon out. It sits on the shoulder of a hill, looking down on the historical village of St. Léons. As you can see the setting is spectacular. The roofed gallery feels like something the insects have designed for themselves. As you walk along the pathway to enter the building the wind whistles around the structure producing a humming noise that sounds like millions of massed bugs swarming in the afternoon sun. And now, with the benefit of having been there, I must confess that it's a pretty cool place. Insects, spiders and bugs may not be your thing; they certainly weren't top of my hit parade, but, as they're at pains to point out in Micropolis, they've got an important role to play in our various ecosystems, so I guess we owe them some respect. Don't get me wrong, I'm not the sort of girl who freaks out when there's a spider in the bath. As it happens the boys in my house do that, and I'm the one who picks up the offending arachnid and deposits him safely outside in the garden. No. It's not that I've got an aversion to these little beasties; it's just that I've never found them compellingly interesting. What I have been intrigued by, however, is the degree to which my boys (husband and son) find them totally fascinating. I guess you either get insects or you don't. 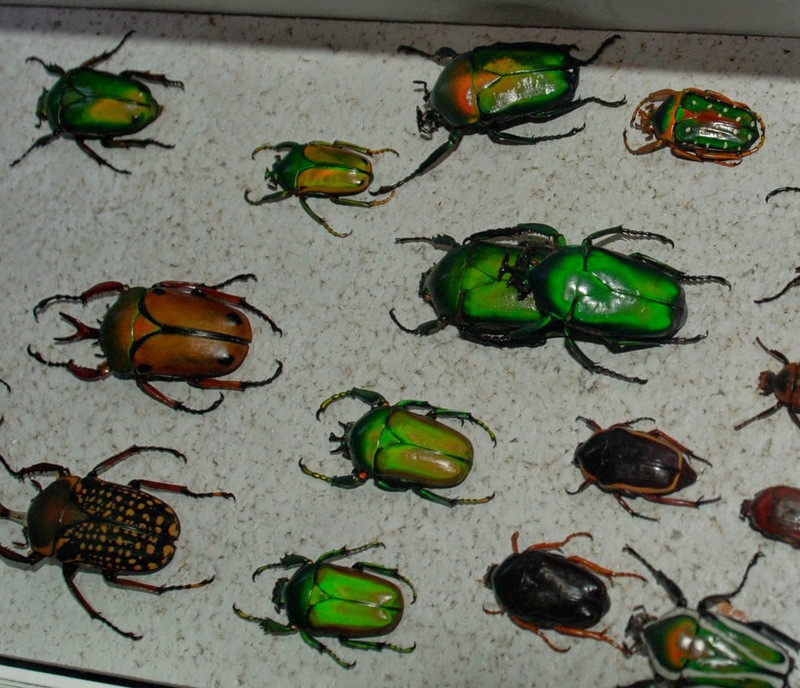 And whilst I enjoyed wandering around looking at the (often frighteningly) large beetles, for whom I have total respect and awe, I still don't get it. They're great, but I'm not hooked in the way that certain other people are. My husband was carried away on a wave of nostalgia for his childhood, and started telling us all sorts of tales about his pet insects. He'd once been an avid collector of stag beetles ... eek! He and his best mate, Albert, used to roam the woods around Montseny armed with strong knives looking for decaying wood, which they would slice open to reveal the cornucopia of life inside. Often they would find larvae as big as the first half of their little fingers. Apparently the stag beetle larvae exist in their larval state for several years, feeding on rotting deciduous wood, before they pupate. These trophies were then carried home in a bucket to live in a specially constructed box in the basement of the house (history does not record the views of my in-laws on this encroachment of the insect world into their garage). In any event their progress was actively and enthusiastically monitored. 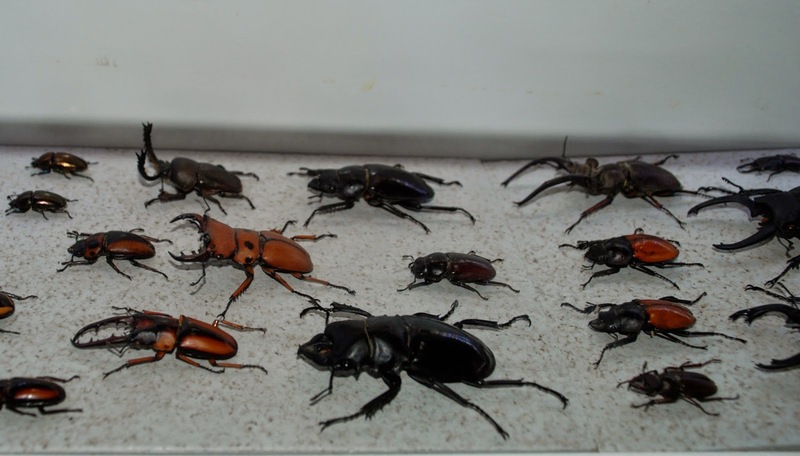 My husband claims that all of his friends were also busy collecting stag beetles out there in the woods and that they'd get really competitive about having the largest, fiercest male. The males, which are larger and more fearsome-looking than the females, use their jaws to wrestle rivals out of the way for favoured mating sites and for food. This territorial display of masculine prowess soon became a compelling spectator sport for Mr B and his chums. In their defence I have to explain that television reception isn't great in that part of the mountains ... .
And then, one day, they woke up, grew some facial hair ... and discovered motorbikes and girls. My in-laws no doubt heaved a huge sigh of relief as they reclaimed their garage ... and they all lived happily ever after. The End. 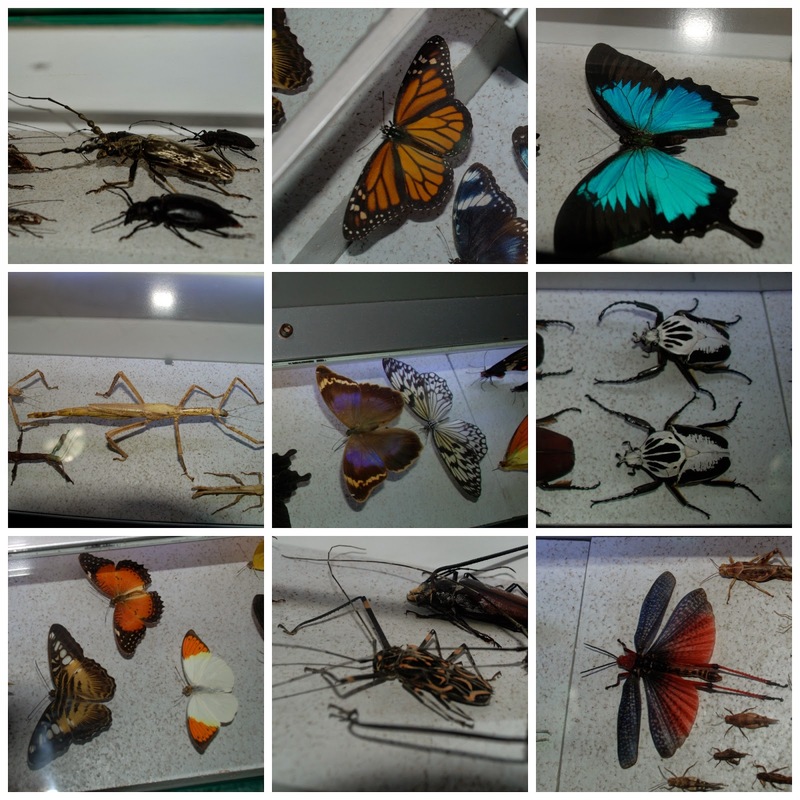 There are hundreds and hundreds of displays of dead insects in glass display cases, which felt a bit morbid, but there are also displays of living insects. They have a great ant city with stacks of boxes and clear perspex tubes where red ants are free to swarm around all over the shop. Everything is aimed at being educational in a fun, funky, effortless sort of a way. Emi was fizzing with excitement over the whole shooting match. He was especially keen on the spider section, even though he's scared out of his wits by spiders. 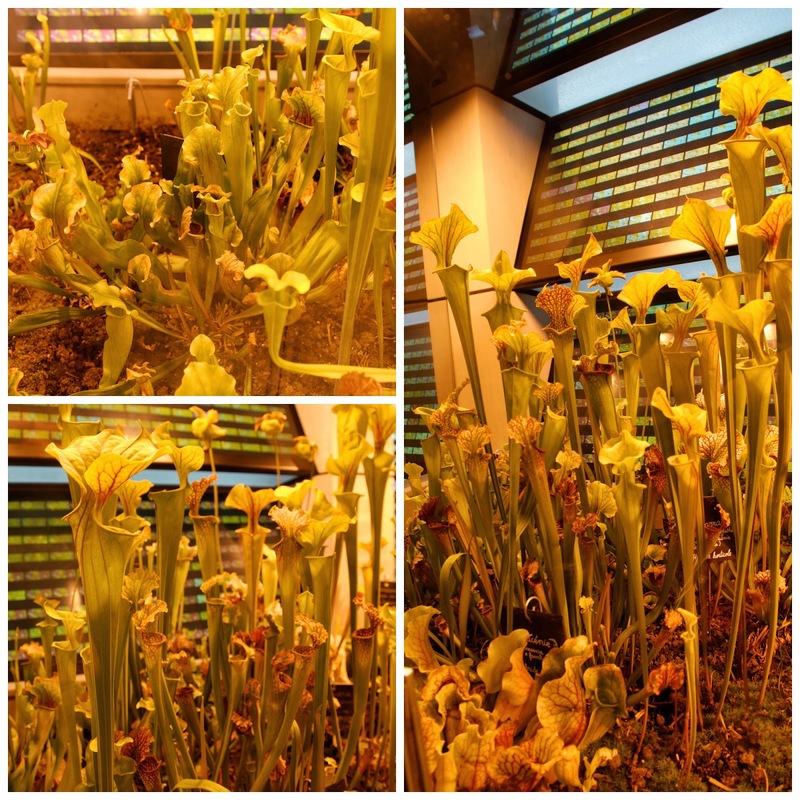 Perhaps I showed my lack of insect-fervour by enjoying the section with insect-eating plants. There was even a plant down there that threatened to devour Emi. Luckily we were able to prise him out of its killer clutches before the acidic juices dissolved his tennis shoes. The highlight of the indoor section for me was the corner devoted to bees. 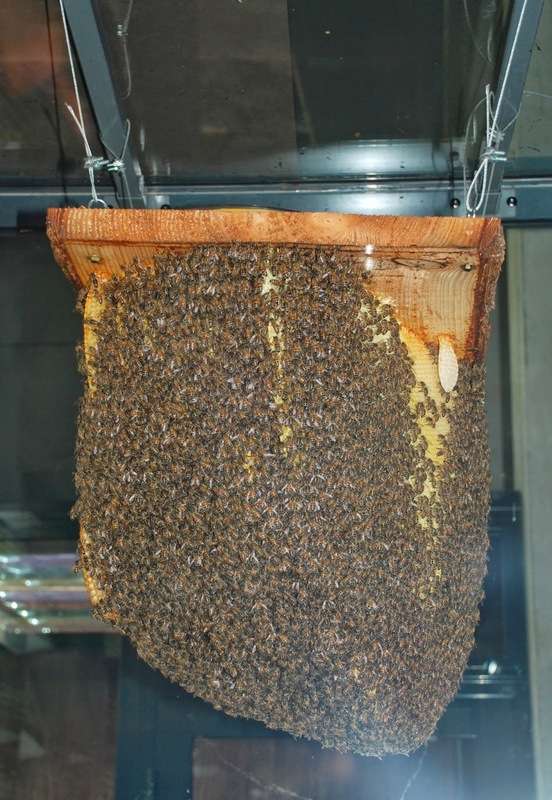 Maybe this was really just a function of my enthusiasm for honey rather than the little chaps who make it, but I was fixated by the natural form hive that dangled (safely) behind a glass screen as lots of worker bees buzzed in and out working their sweet magic. When we'd seen all the stuff inside we headed up the hill for the outdoor trail. 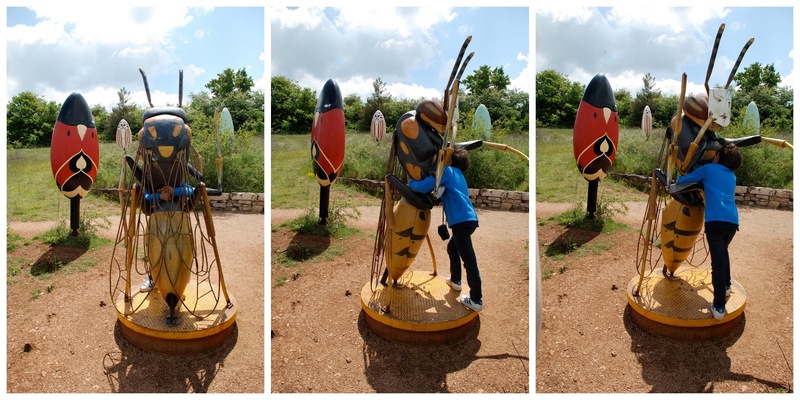 Now the idea of this trail is that somehow the insects have been super-sized, so that we can relate to them as not being very different from ourselves, and come to appreciate the problems that they face in their daily battle to survive. The object was to help the bugs get ready for a carnival, which might be a bit of a stretch for the adult imagination, but happily Emi was more than able to throw his mind around the notion that he could hug a housefly and show it how to throw some moves on the dance-floor. And help a dung beetle. Lovely work! Then he had a go at rehearsing with the bug orchestra. 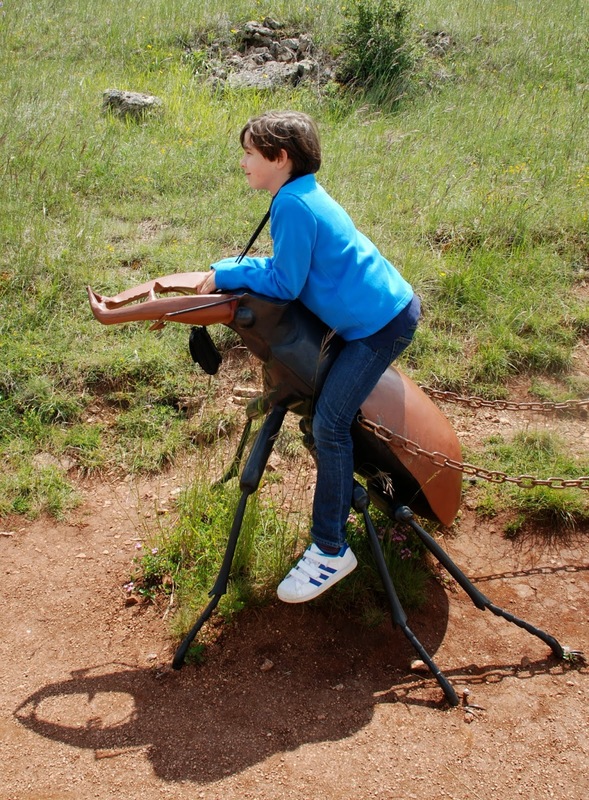 And riding on the back of a stag beetle ... or is that a flee ... or am I losing it completely? 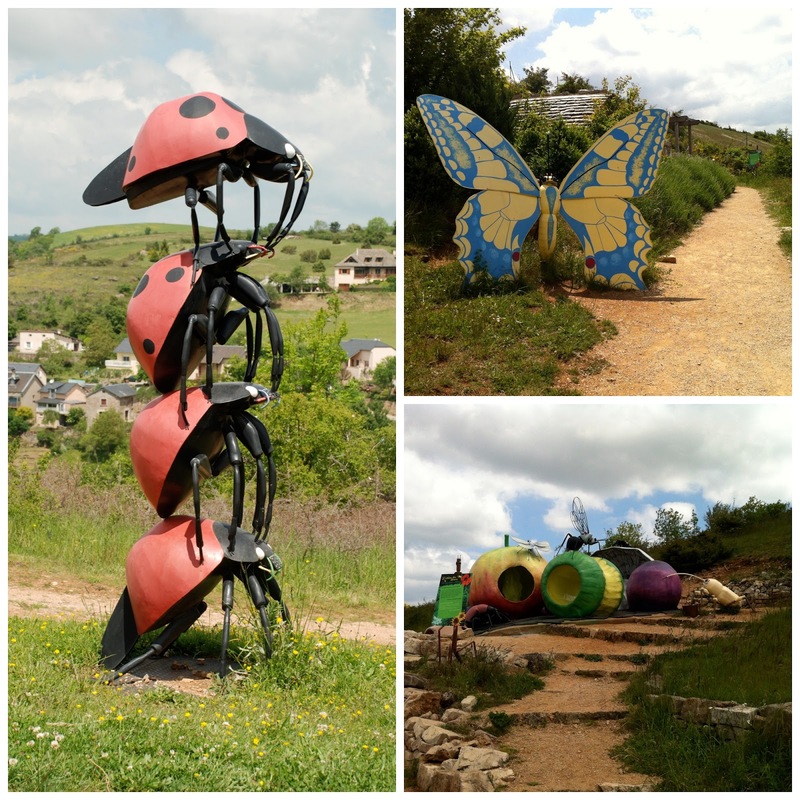 There are several imaginative, insect-inspired play areas where the little folk can run about to let off steam. 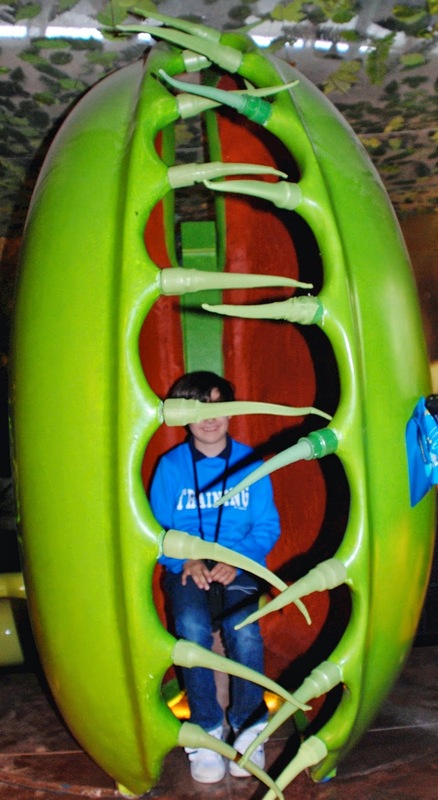 The whole bug carnival theme was something that our straw poll of one embraced with real enthusiasm. 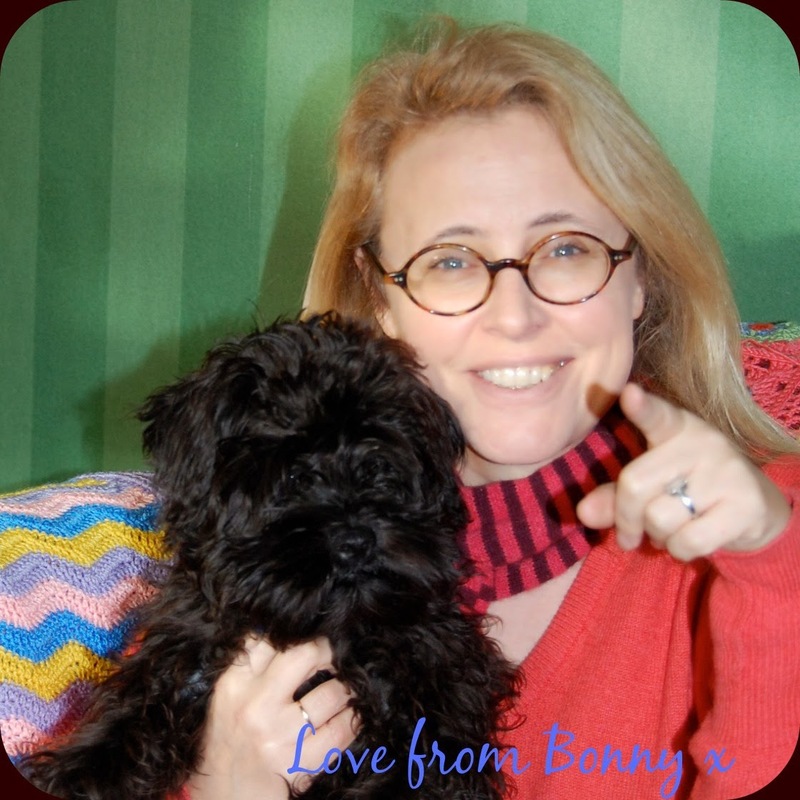 As for Mr B and me, we enjoyed larking around in the sunshine and taking lots of silly photos. They've got a very acceptable cafe if you'd like to fit in a bite of lunch or stop for a coffee. There are also lots of outdoor picnic tables where you can have a déjeuner sur l'herbe. The exhibition is run in French, as you'd expect what with it being in France and everything, but they do pretty good explanations in English. There is good wheelchair access to the indoor section, and they also have a lift to take people up the hill to the outdoor trail, but it's not really do-able if you've got a mobility issue as the pathway is pretty steep in parts. Sadly dogs are not allowed in either the outdoor or the indoor areas, so Maxi, our pooch, had to wait for us in the car. Anyway if you find yourself with an idle moment in this part of the world it's a great way to pass an afternoon. If you'd like to visit you can find all the information here: Micropolis. One of the best bits for me was the lovely countryside all around. The hills are teaming with wildlife. I took Maxi for a walk before we set off and enjoyed listening to the birdsong and the crickets. I even heard a cuckoo. 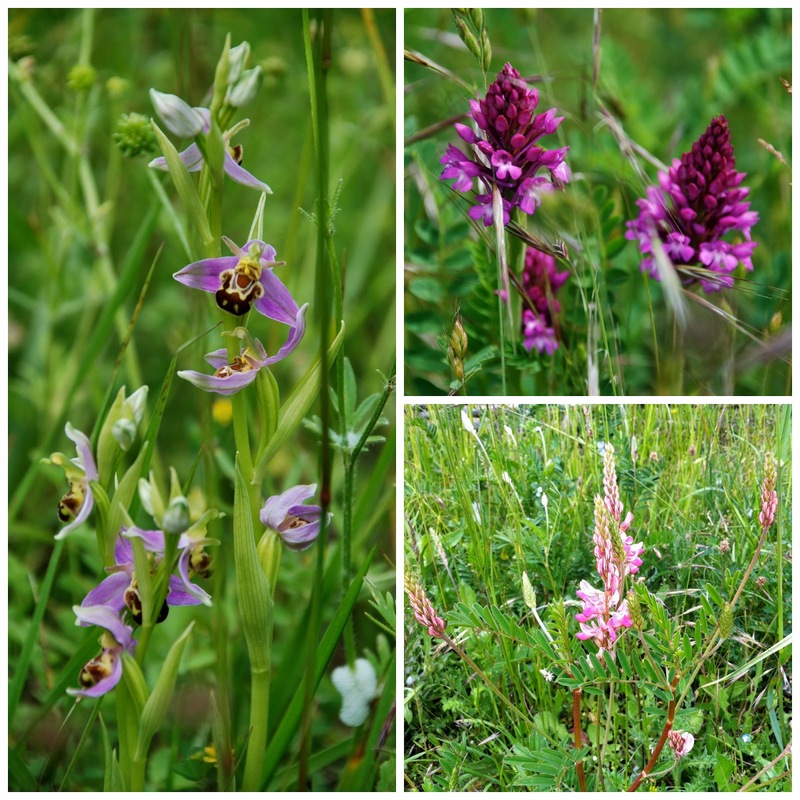 There are loads of wild flowers. It's a truly beautiful part of the world. I must say that is an unusual place! What fantastic details and colors and it looks like a great learning facility, too! Enjoying your post and story. Great place to visit. 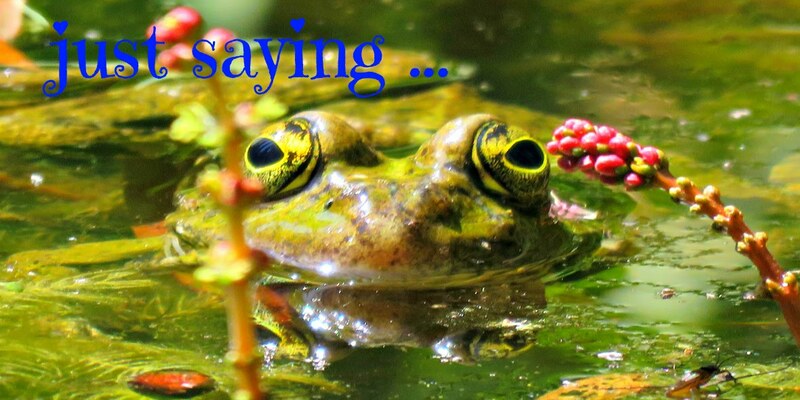 Lots of things -about insects- to see and learn there. Thanks for sharing your blue today. Wow! 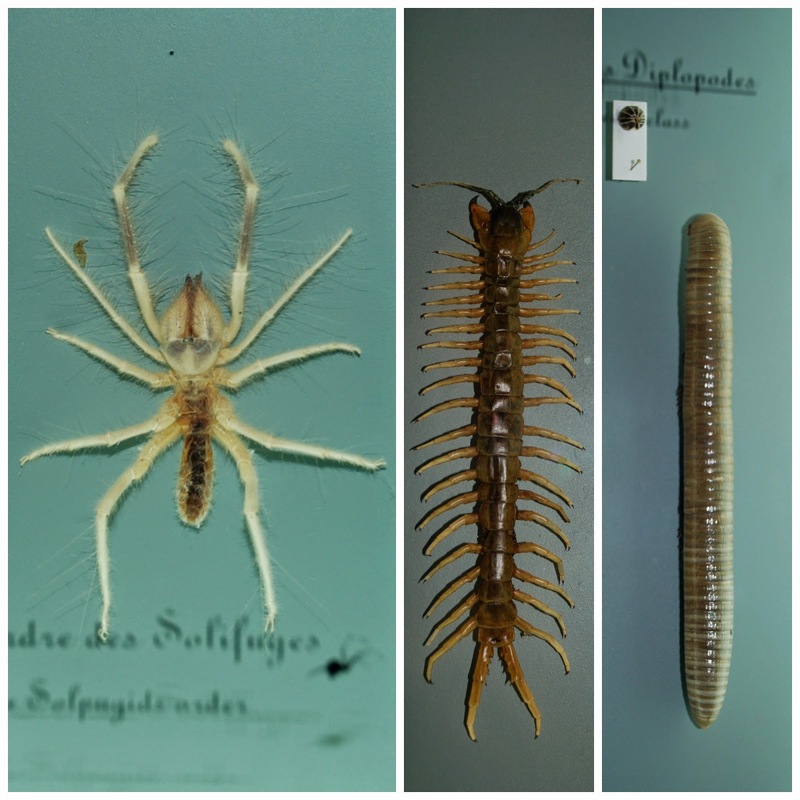 What a collection of creepy crawlers! My mother always told me to never harm a "Daddy Long Legs" spider. I gently swoop them outside where they should be happiest! I enjoyed this post tremndously. Have a great week and come visit soon. Great story. I really enjoyed it. But, I am with you, bugs and insects don't particularly appeal to me. Oh this would be a place I'd find fascinating and I know Coleen would as well. I'm not really afraid of bugs, spiders creep me out some but not when I'm taking photos of them. I loved all the neat stuff you saw there.